Forget any image you may have of hairy men in shorts scrabbling around in the dirt (hello David Bellamy) – this Botanist is bang up-to-date and worthy of a rather decent review. 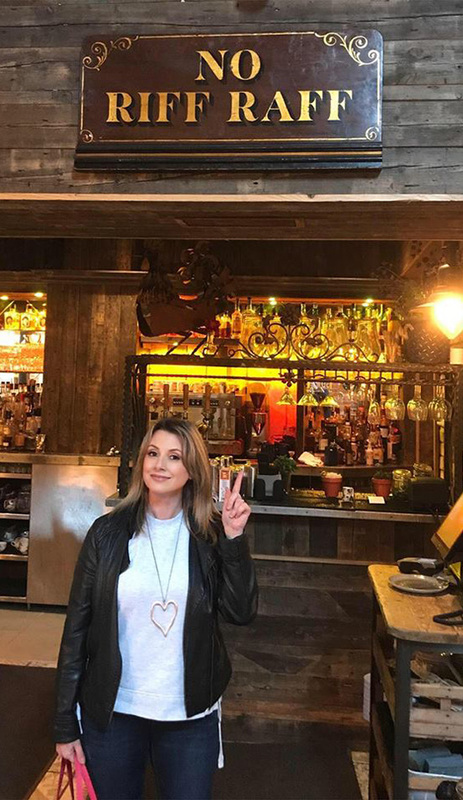 Located on Bridgford Road, The Botanist opened in October 2017, replacing Fire and Ice as one of West Bridgford’s stalwart eating and drinking establishments. The venue has been transformed and is now an oasis of cool greens, with an abundance of plants and flowery pictures, exuding an atmosphere of calm, cosy comfort. Shown to our table by the busy but delightful Casey, we were soon tearing through the substantial menu, which has recently been relaunched. There are quite a few options to consider, so my lunch date and I pondered the choices over a couple of mocktails. Mine was called ‘All the Greens’ and was absolutely bursting with flavour, with just the right amount of tang, with fresh mint, kiwi and ginger and a splash of apple and lemon. Quirky gadgets in cocktails are always fun and this one comes with a pipette of elixir, which takes away any hint of bitterness. Richard chose the Homemade Lemonade and found it refreshing, zesty and sharp. I knew that I’d struggle to eat 3 courses, so decided to forgo the selection of nibbles, which included some interesting options – salt and pepper onion petals and charred edamame beans – and go straight for the starters. I decided on the Cumberland Scotch Egg, served with homemade piccalilli, which was an excellent choice. The Scotch Egg was perfectly cooked and the piccalilli was a bit of a revelation, as this was more of a salad and not the stuff from a jar that I’d been used to. Richard chose the Creamy Garlic Mushroom starter, which arrived in a plant pot, topped with breadcrumbs and accompanied by a warm mini Hovis loaf. The main courses were a little more difficult to choose. 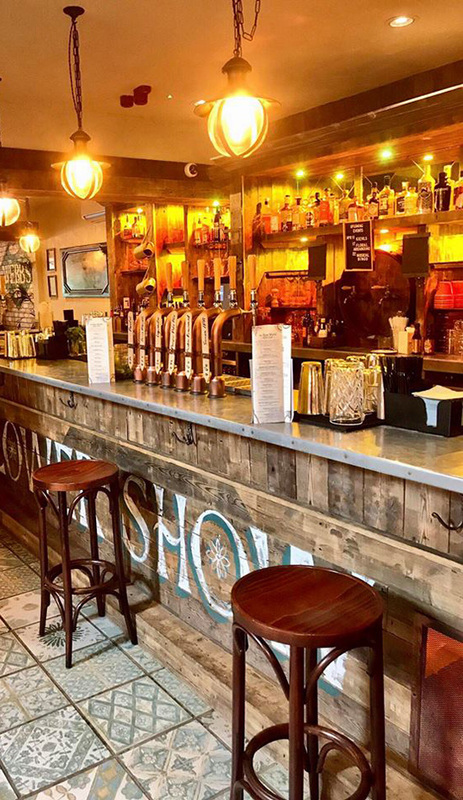 From Deli Boards to Rotisserie, Salads, Flatbreads, Steaks and Hanging Kebabs, the menu is interesting and includes flavours from around the world. Although the Tandoori Cod and King Prawn Hanging Kebab sounded tempting, I decided to go for the Steak and Ale Pie, which was served with ‘properly seasoned’ chips (or spring onion mash), mushy peas and rotisserie gravy. The portions are substantial and the pie was filled with succulent pieces of steak, surrounded by very tasty pastry. Richard chose the 10oz Sirloin Steak, which was huge and marinated in honey, soy and black pepper sauce and served with chips and buttermilk coleslaw. Another excellent choice, which was soon polished off. Clothes were definitely starting to get a bit tighter by this stage and we still had a dessert or two to try. 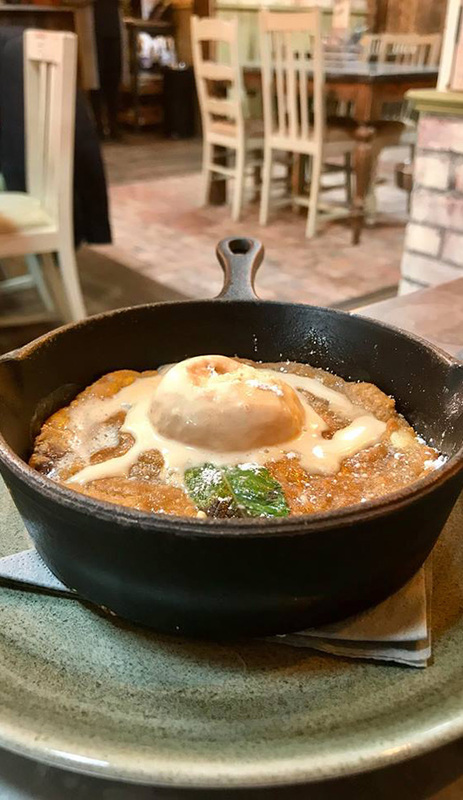 Although gut-busting, the Baked Chocolate Chip Cookie Dough, served with salted caramel ice cream and toffee sauce and the Peanut and Chocolate Brownie Cake, also served with ice cream were definitely worth a taste – particularly the Cookie Dough, which arrived warm and ever so slightly gooey! 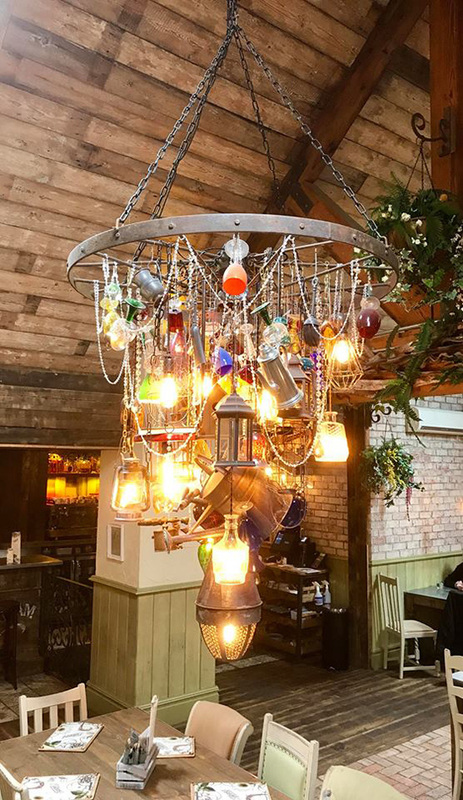 In my view, the best recommendation you can give to any venue is the guarantee that you will return after doing a review and this is certainly the case with The Botanist. I love the lighting (particularly the chandelier), the music (played at just the right level so it doesn’t drown out your conversation), the décor and the food. With starters from £4.25 for soup and mains hovering around the £11 mark, it’s not overly expensive, particularly when you consider the size of the portions and, in my opinion, definitely worth a visit. 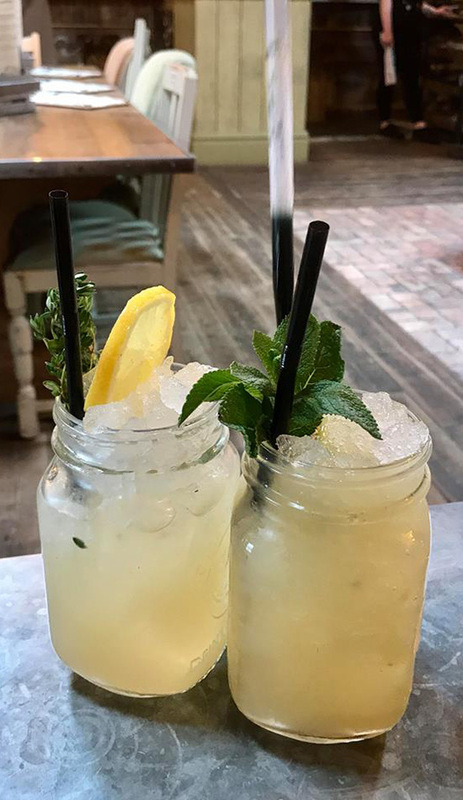 You can view The Botanist's menu here.